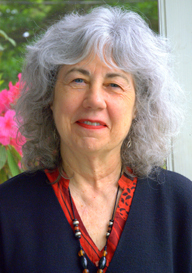 Meet Oregon's Poet Laureate Paulann Petersen at the Garden Home Community Library on Tuesday, September 20th, 7:00 - 8:15 PM. Ms. Petersen will read some of her poetry and answer questions. Books of her poetry will be available to purchase. This event is free and all are welcome. Paulann Petersen was named to a two-year appointment as Oregon's sixth Poet Laureate by Governor Ted Kulongoski on April 26, 2010. "Paulann Petersen is the perfect choice to serve as Oregon's poet laureate," said Governor Kulongoski. "Her wonderful poetry and her commitment to sharing her craft with the people of Oregon through her teaching and service exemplify the kind person that is ideal to serve in this position." Petersen was born and raised in Oregon and spent half of her adult life in Klamath Falls. She is a widely published poet, with four collections – The Wild Awake (2002), Blood-Silk (2004), A Bride of Narrow Escape (2006) and Kindle (2008) – and several chapbooks to her credit. Petersen has received several awards, including Stanford University's Wallace Stegner Fellowship in Poetry, two Carloyn Kizer Poetry Awards, and Literary Art's Stewart Holbrook Award for Outstanding Contributions to Oregon's Literary Life. Her poetry is featured on TriMet public transportation in Portland as part of Poetry in Motion as well as in many publications. Petersen is a committed teacher who has taught high school English and led dozens of workshops schools libraries, colleges, and writer's conferences across Oregon.